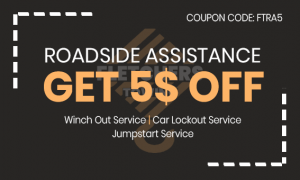 If your vehicle breaks down, you will need a cheap towing service in California to help you get back on the road. It will be your goal to keep your vehicle secure and safe at all times. All you need to do is to put your trust in us because our tow truck can transport your vehicle back to safety. We can be your up-to-date towing in California provider is essential. When you get stranded and you need to be somewhere else, we at Fletchers Towing can do the towing job for you. We will always keep you as our number one priority. 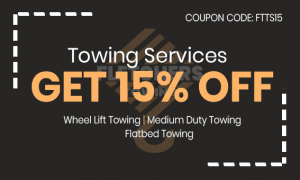 Call us now at Fletchers Towing today! Our company is established to provide the best car towing service in California. This is a personalized car towing service that is offered at the most reasonable rates. With our certified and skilled drivers, you will find us to be reliable and dependable as a towing company. We have been around the business for years. That is why many customers are proud of us being their best cheap towing service provider in California. You can contact us at any time you want! Our long-distance towing service is the best to rely on within California. The moment you call us, we will haul your vehicle across another state. We will put it on the back part of the flatbed. You can be rest assured of our team to do the towing securely. There is no need to hesitate calling us because this is just right when towing vehicle to long-distances. Even if there are lots of companies that specialize in long distance towing, it is still a wise decision to choose us over them. This is especially because we provide cheap towing service in California. Being a locally-operated and owned towing company, we at Fletchers Towing have never been this proud to serve customers in California. Our company is insured and licensed for you to become more confident of our service. With our latest and most-updated equipment, we can promise to tow your vehicle safely and securely. Do not hesitate to call us as a friendly, fast and reliable towing provider! Our staffs at Fletchers Towing take towing of motorcycles as a serious job. We also give high priority to rescuing motorcycles. With our motorcycle loading system and leading equipment, the more that you will consider our towing as something that is simply the best. You will also expect of a cheap towing in California from our company. With the procedures and steps that our motorcycle technicians strictly follow, your vehicle will come to you with no any scratches. Call us at Fletchers Towing right away!